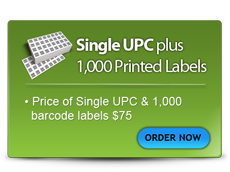 SingleUPC LLC is an independent organization serving the needs of small to medium size companies trying to get products in to retail marketplaces. Our customers range from small music labels to the top consumer good suppliers. The Company Prefix from which our UPC assignments are derived was issued in 1994 and is not subject to any GS1 limitations. A copy of our original UCC certificate is available to customers with their UPC assignment upon request. For years, new small businesses have been forced to face the challenge of obtaining UPC symbols through GS1 US (formerly Uniform Code Council). Due to their unique position in the market, GS1 has created a financial barrier for many small businesses. Oddly, it is more expensive to obtain a Company Prefix from GS1 than it is to incorporate a business. We are certainly not the first to offer this type of service, but we believe that we do the best job of fully informing our customer on their UPC choices. In addition, we provide personal customer service over the phone and can address your issues immediately. 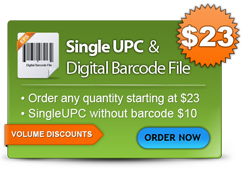 SingleUPC LLC is very concerned about protecting sensitive information posted by our clients during online transactions. Consequently, we utilize a CISP & PCI certified third party company to handle online transaction processing. SingleUPC LLC employees do not have access to credit card information and this information is securely transmitted straight to Verisign. Our shopping cart partner achieved CISP compliance in the fall of 2005. The storefront system is a CISP Certified Shopping Cart and also PCI compliant.